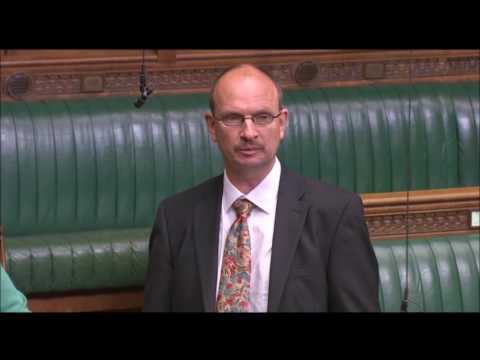 On Wednesday, the House of Commons debated the effects the Pay Cap is having on the NHS, writes Ipswich MP, Sandy Martin. From 2010 to 2012 public sector pay was frozen, and since 2013 a 1% cap on wages has been in place. As a result of the cap on pay, wages for our public-sector workers have fallen up to 14% below inflation since 2010. The Government’s public sector pay cap has been a disaster for the NHS. The NHS Confederation, the Care Quality Commission, the British Medical Association, the Royal College of Nursing, the British Dental Association and many more have called for the cap to be scrapped. Last year, nearly 30,000 nurses and midwives left the profession, a record number. We are 10,000 GPs, 3,500 midwives and 40,000 nurses short of the number we need. The Government has created a workforce crisis in the NHS which is causing misery for patients. Hospital wards and GP surgeries are chronically understaffed and waiting lists are spiralling out of control. In some towns, nurses are being forced to use foodbanks to make ends meet and NHS Providers say that staff are quitting the NHS to stack shelves instead. 2/3rds of nurses who replied to the Royal College of Nursing survey told them that they were having to moonlight or take on additional agency work in order to make ends meet. And agency fees are crippling the NHS financially – because they are unable to pay their directly-employed nurses enough, they end up by paying through the nose for agency staff to make up the shortfall. The Health Secretary says he has sympathy for underpaid health staff but sympathy won’t put food on the table, or meet the shortage of staff in our hospitals and surgeries. The Government recognise that there is a crisis, but they refuse to admit it publicly. They commissioned the National Institute for Clinical Excellence to draw up safe staffing rules but then dropped the work when they realised how badly it would show up the failure of their pay policy. And it’s not just the NHS that is suffering. The National Audit Office has revealed that 34,910 teachers left the profession for reasons other than retirement last year. Over the last 10 years Suffolk has lost 300 police officers – that’s over 21% of the total. Numbers of officers have gone down by 2,237 across England and Wales in just the last year. Since 2010 the number of prison officers in England and Wales has reduced by over 13 ½ thousand across the UK. Increasingly, posts are being kept vacant or filled temporarily in our councils, because people are not putting themselves forward – and that’s despite councils having to shed staff left right and centre because of the government’s funding cuts. Right across our public services, a lack of trained and motivated staff is adding to the effect of government cuts in funding, and reducing the effectiveness of the service. The Government has now announced that they will lift the cap for Police Officers and Prison Officers, although they are still determined to give them a real terms pay cut this year. Over and over again, the Conservatives claim that they are paying people more, but in reality with inflation currently running at 2.7% then any pay rise which is less than that is actually a pay cut. And if we want to be safe from crime, then we must not only pay our police and prison officers properly, but also those who will keep youngsters away from crime in the first place – teachers, social workers, family liaison officers, drugs rehabilitation workers, mental health counsellors. It is no coincidence that crime fell sharply from 1997 to 2010 when this country was governed by a party that actually believes in public services. Three months on from a general election at which the Tories’ public sector pay policy was decisively rejected, we still have no more details of what the Government plan to do. Labour pledged in our manifesto that we would lift the pay cap. We would re-introduce nursing bursaries, and expand the number of training places for doctors and teachers. We recognise the importance of health and education to the British people, and the urgent need to encourage more of our own citizens to work in these vital areas. The pay cap is deeply unfair to public sector workers - in the end the reason the Government must listen to us and lift it is because it is also destroying the fabric of our society.